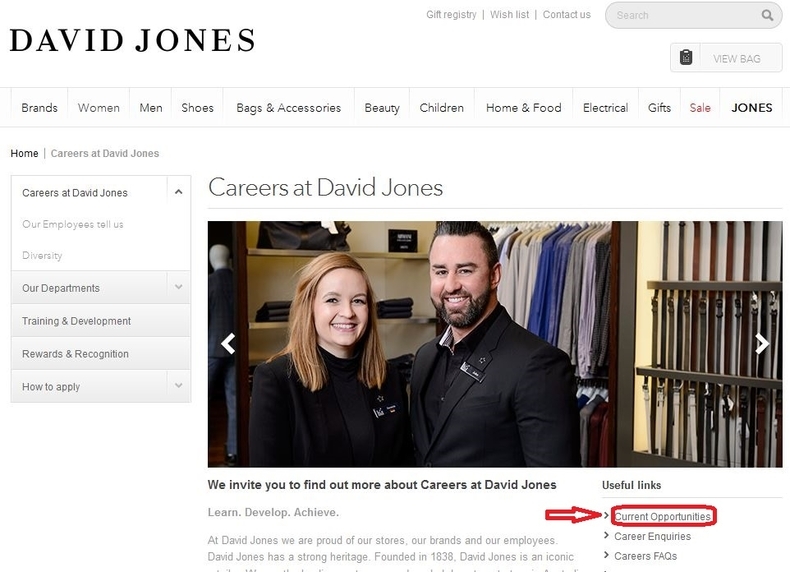 Visit David Jones careers page at davidjones.com.au/careers or careers.davidjones.com.au to know more about information about David Jones or the careers at David Jones. You can click "Current Opportunities" to view the current job openings. 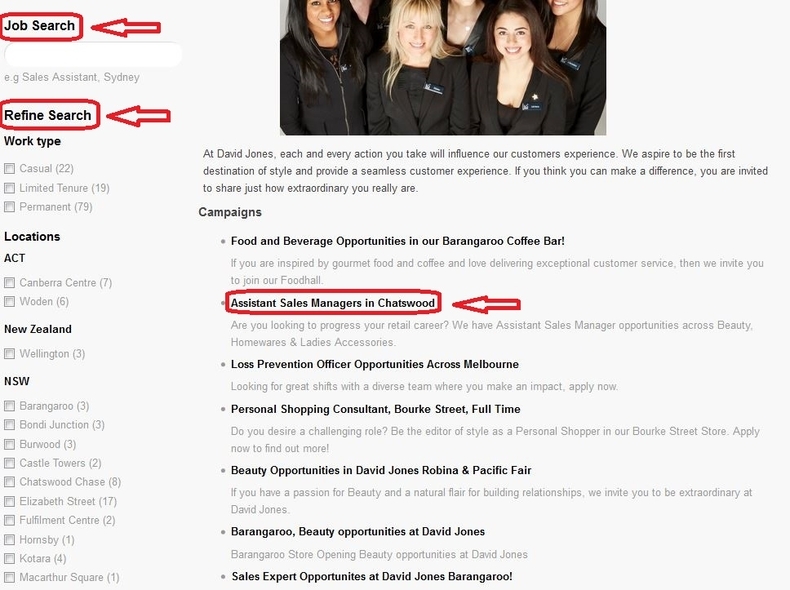 Enter keywords to search job opportunities, and you can refine your search by work type, location and categories, which will help you quickly find the position you are interested in. 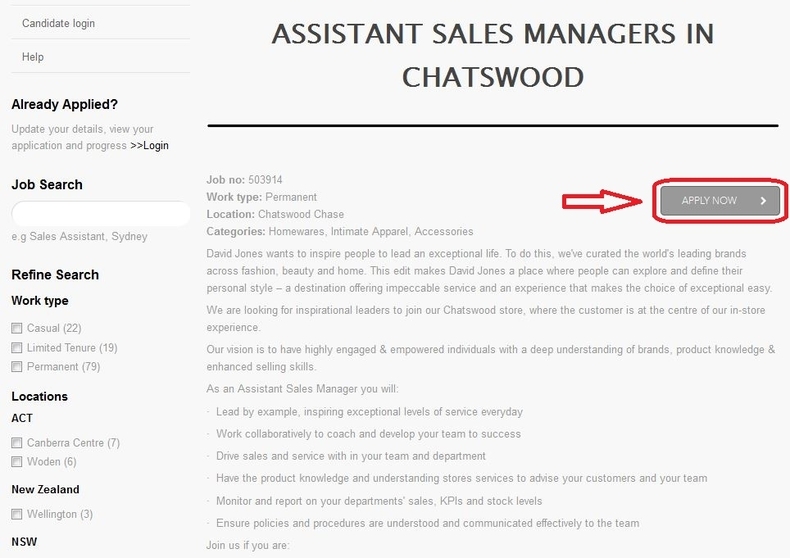 You can click the title to view the details of the position you are interested in. View the job description, requirements, benefits and other information about the position and then decide whether you are going to apply for the position. Once you make your decision, just click "APPLY NOW" to continue. Enter your email address, read the privacy statement and then click "Next" to move on. Fill in your personal details like name, address and phone number, etc. and create a password to have your own profile. Then click the button at the bottom of the page to save and continue. 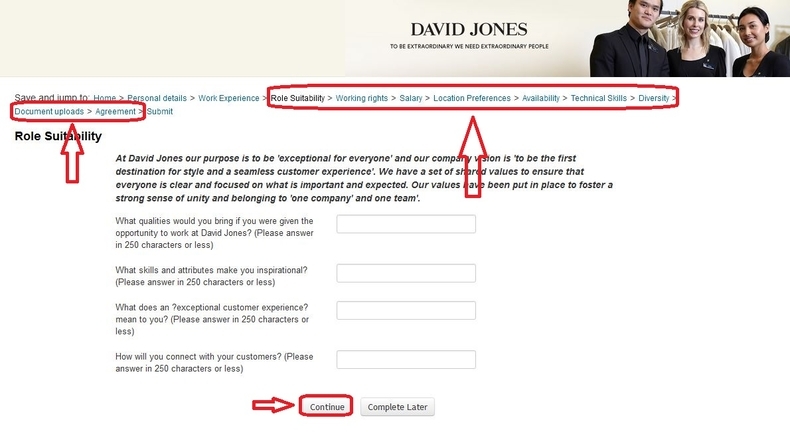 You are required to fill in all mandatory fields marked with asterisk. Start your application by providing information about your work experience. You can click "Continue" at the bottom of the page to move on to the next step. Follow instructions to complete the rest steps like Role Suitability, Working Rights, as wel Salary and Technical Skills one by one. When you finish the required parts in one step, you can just click the button at the bottom to continue. Finish the last required question and you can click the button to submit your application. Your online application will be finished if it is submitted successfully. 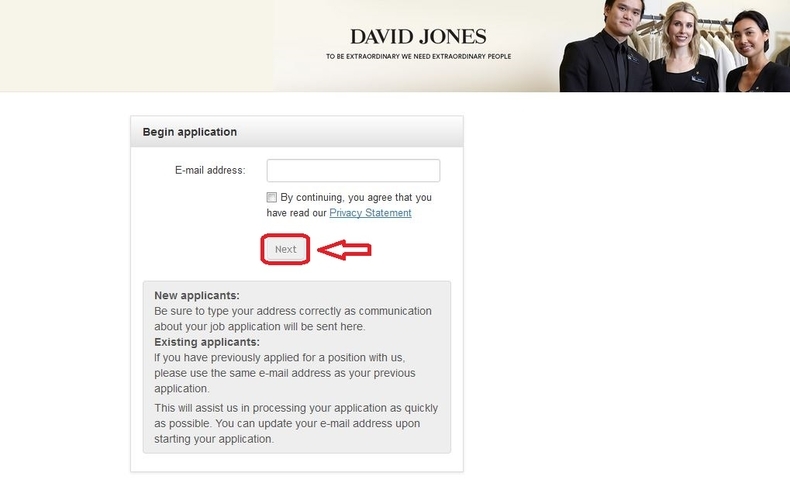 You can go back to view your application or click to edit your profile. 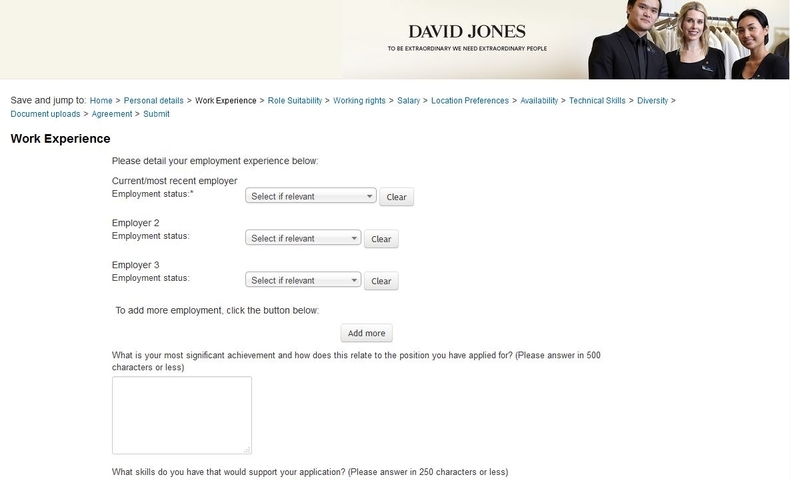 Click davidjones.com.au/careers to apply for David Jones jobs online.